The Texas Tech University's plans for a veterinary school were "on pause" when the legislative session began. But lawmakers voted Saturday to allocate $4.1 million for the project. Texas Tech University's on-again, off-again plans to open a veterinary school in Amarillo might just be on again. Buried in the 900-plus page budget approved Saturday by state lawmakers is $4.1 million allocated to Tech for "veterinary medicine." That money appears to be start-up funding for a new vet school — even though Tech started the legislative session saying that plans for the school were "on pause." Tech originally announced in late 2015 that it wanted to open a school in Amarillo 2019. But the idea was met with fierce resistance by Texas A&M University, which has the only veterinary school in the state. Despite the "on pause" declaration, lawmakers from the Lubbock area never gave up. A line providing the funding was included in the House's version of the budget — but not the Senate's. The budget conference committee tasked with crafting a compromise decided to leave it in. The Tech system has said the school would help West Texas address a shortage of large-animal veterinarians. In a short emailed statement late Saturday, Tech System Vice Chancellor Brett Ashworth said that the system appreciated the Legislature's support but didn't provide any further details. Meanwhile, a group of four West Texas legislators — Sen. Charles Perry, R-Lubbock, Rep. Dustin Burrows, R-Lubbock, Rep. John Frullo, R-Lubbock, and Rep. John Smithee, R-Amarillo — celebrated the decision in a joint statement. "Rural Texas depends on agriculture as an economic driver, and the lack of large-animal veterinarians in Texas can have a devastating effect on our communities," the statement said. "The inclusion of $4.1 million in the state budget to establish a veterinary school at Texas Tech University will go a long way in addressing this need." They added, "The overwhelming support for the funding of a veterinary school at Texas Tech University goes to show that both chambers and both political parties understand how important this is to rural Texas. This school will ensure students receive high quality veterinary skills and education for large animal practice in high need areas." It's unclear whether a 2019 goal is still realistic. And Tech will still likely need approval from the Texas Higher Education Coordinating Board before any plans are finalized. The staff of the coordinating board said last year that the state doesn't need another traditional veterinary school, arguing the cost would outweigh the benefits. Tech, however, has said that its school would be unique and focus largely on bringing veterinarians to rural areas. The coordinating board was receptive to that possibility. Meanwhile, Texas A&M University System officials have said that expanding their school's reach would be a more efficient way of meeting the state's needs. A&M System Chancellor John Sharp reiterated those concerns late Saturday night. "My congratulations to Sen. Charles Perry for getting it in the appropriations bill," Sharp said. "The Coordinating Board study was against it. Even the Tech board opposed it. But he came in 'guns up' and got it for Tech." 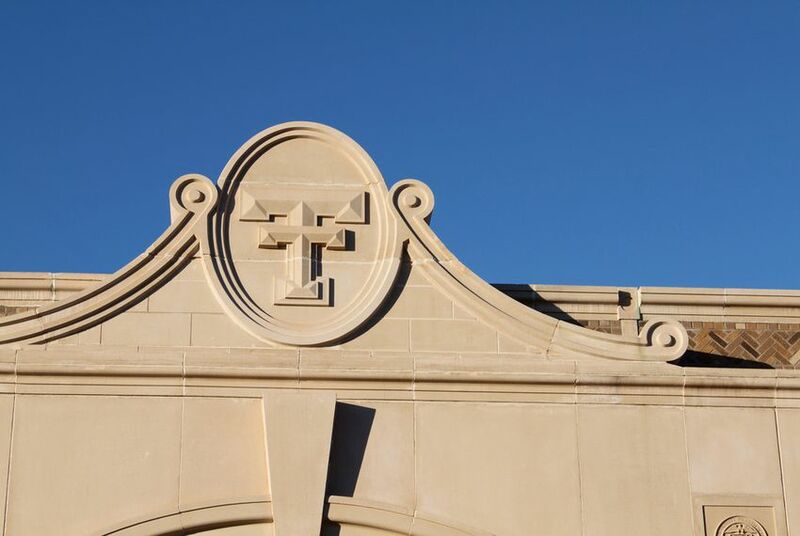 Disclosure: Texas A&M University and Texas Tech University have been financial supporters of The Texas Tribune. A complete list of Tribune donors and sponsors is available here.